Bruce MacDonald Lowes - Ready Steady Gone! 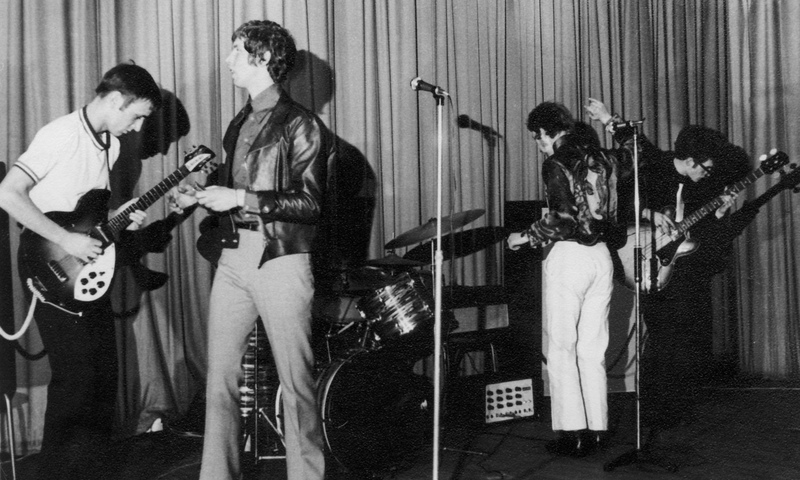 One of my most enjoyable periods in North East bands was the stint with Jazzboard between 1965 and 1967. 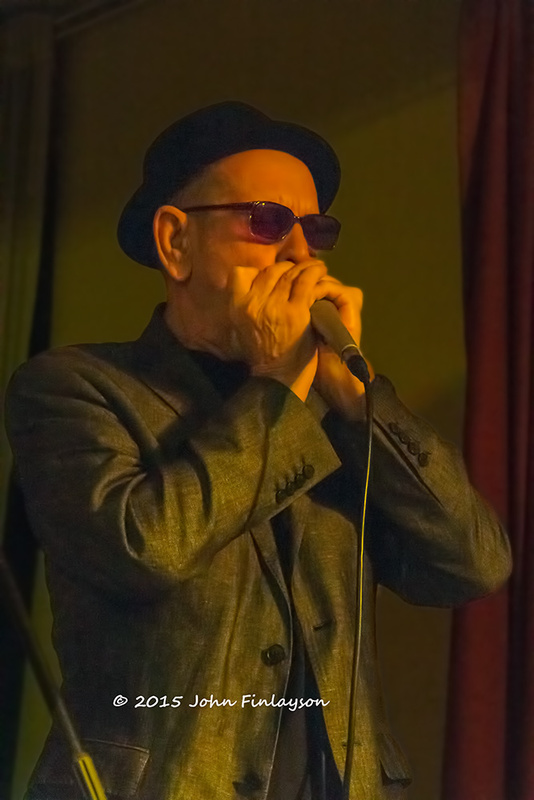 Jazzboard was fronted by the talented Bruce MacDonald Lowes, a vocalist and multi-instrumentalist who continues to perform in several North East bands today with the same enthusiasm as he had back in the sixties. 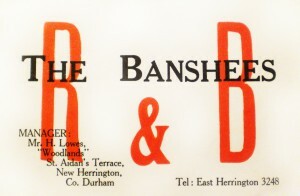 Back in 1963 and 1964, Bruce sang and played drums in a North East band called the Banshees. The band was managed by Bruce’s father, Herbert Lowes, a business man who later managed the Jazzboard. In addition to his musical interests, Bruce was also a keen cyclist. During the early sixties, he belonged to a cycling club called the Houghton-le-Spring Clarion. Another member of this club was none other than Bryan Ferry who, at the time, was still at school. 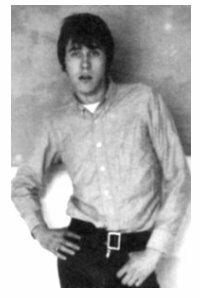 In 1964 while Bruce was still with the Banshees he met up with Bryan Ferry and offered him an audition as singer with the band. Ferry, who had not previously sang in a band, joined the Banshees and stayed with them until he went to study at Newcastle University. Several bands later, into the seventies, Bryan Ferry was catapulted to national and international stardom with Roxy Music. There can be no doubt that Ferry and Roxy Music influenced the Punk, New Wave and New Romantic movements of the eighties. They even had an affect on the style and direction of the musician and producer, Nile Rodgers who created the seventies disco band, Chic. And had it not been for Roxy Music, Brian Eno may not have got to produce acts such as Talking Heads, U2, Ultravox, Devo and Coldplay. If Bruce had not offered Bryan Ferry the gig with the Banshees would popular music in the seventies and eighties have been somewhat different? Of course, it can be argued that Ferry may have found a different route into music. But not according to the man himself. 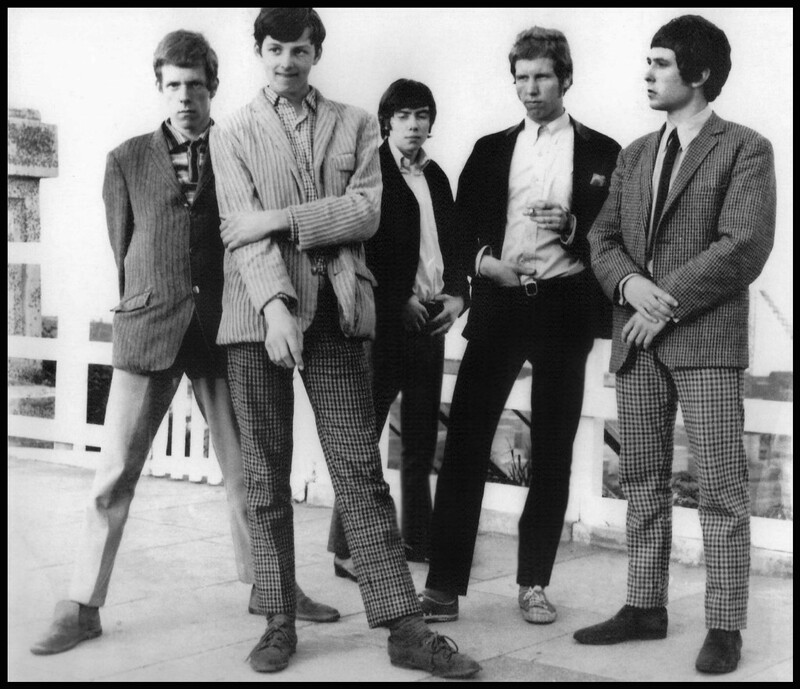 In Michael Bracewell’s book ‘Roxy – The band that invented an era’, Ferry refers to a chance encounter, without which his life would have been very different. Quoting from the book, Ferry says: “When I was just about to leave school, I bumped into this guy, Bruce, who had been in my cycling world. He said, ‘I’ve got a group – I play drums in a band. 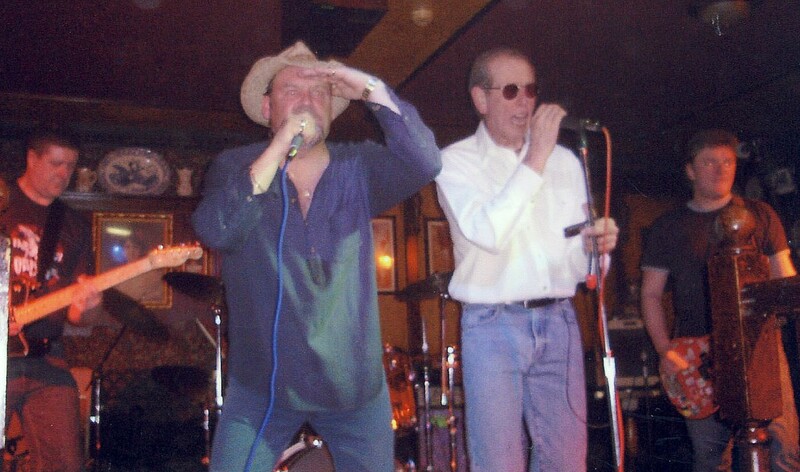 We’re looking for a singer – can you sing?’ And I said, ‘Er -yeah’. “So Bruce asked me to come along for an audition, which was held in his dad’s hairdressing salon in Shiney Row, another village about three or four miles away. And there in this salon, with all these hair dryers around the room – weird looking space age hairdryers – was this band set up. I had never sung in my life before, except at home, singing along with my records. So I thought this might be a way of making some money. I got the job anyway and became their singer. And for someone who was as shy as me, I was quite amazed that I could do it. His dad was the manager and he had a whole diary full of bookings for that summer period. “They were called the Banshees, and they did all these Chuck Berry songs like ‘Sweet Little Sixteen’ and ‘Johnny B Goode’. So that’s how Bruce was directly responsible for starting the chain of events that eventually led to Roxy Music – “the band that invented an era”. 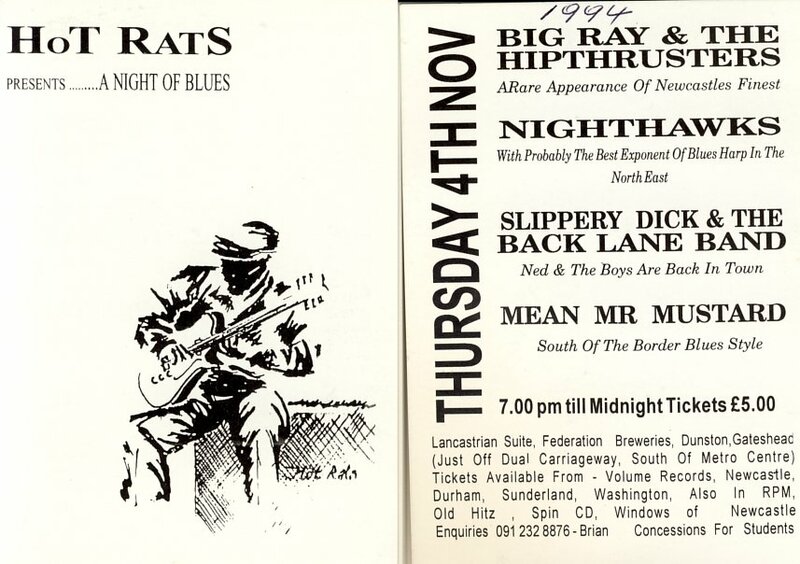 After the Banshees, Bryan Ferry performed in a soul covers band in the north east called the Gas Board while he was at Newcastle University. Incidentally, the hairdressing salon referred to by Bryan Ferry was where I auditioned with the Jazzboard a year or so later in 1965. 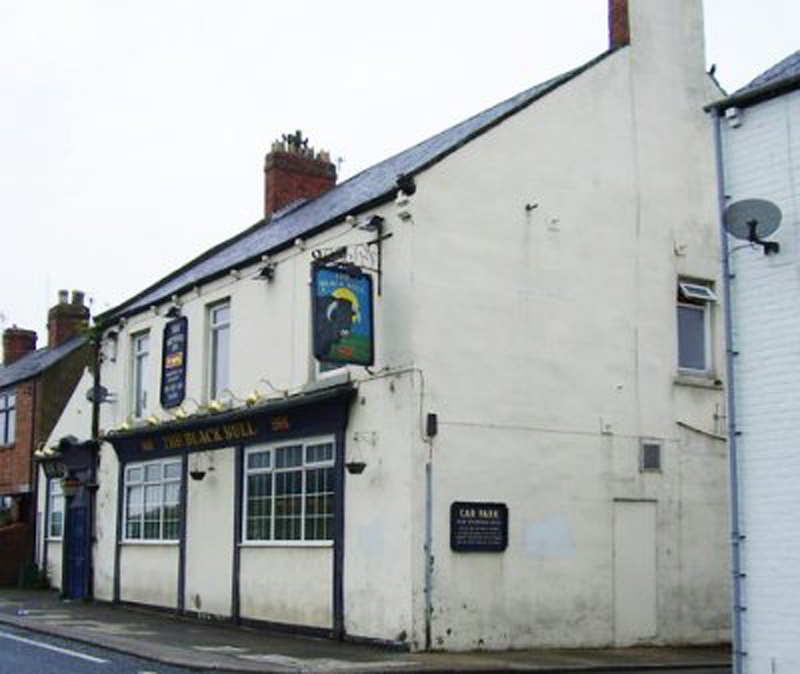 (It was situated near the old railway bridge at New Herrington – a mile or so from Shiney Row). 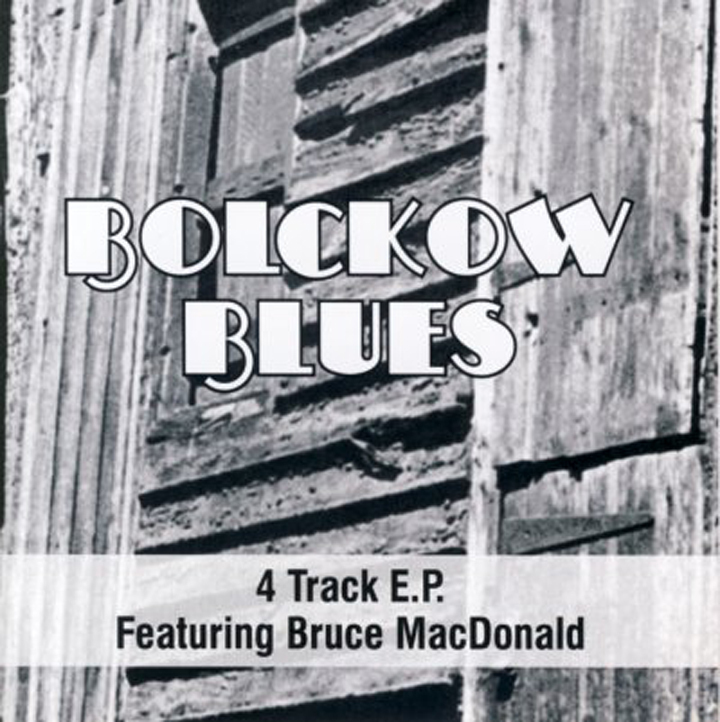 Bruce has recently been busy in the studio recording a four track EP with Bolckow Blues. The EP features Bruce on vocals and harp, Gav Engleby on guitar and mandolin, John Farmer on bass and backing vocals and Steve Ellis on drums. 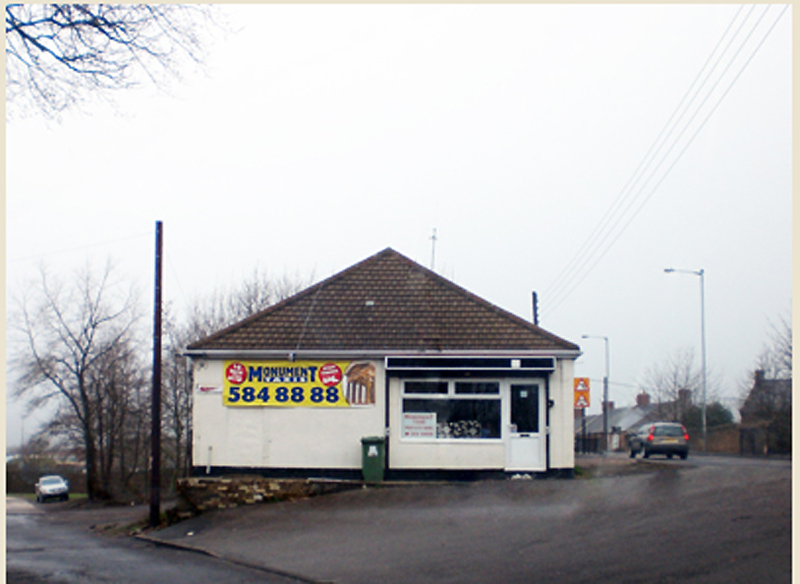 The tracks were recorded at Willow Tree Cottage Studio in County Durham. The Banshees first gig was in July 1963 at the Black Bull, Nettlesworth, County Durham for the grand fee of £7 (enough to buy about 150 pints of federation beer back then). The line-up in 1963 was: Bryan Ferry (vocals), Clive Edmunson (bass), Eric Vincent (guitar) plus another guitarist called Jeff and Bruce on drums. 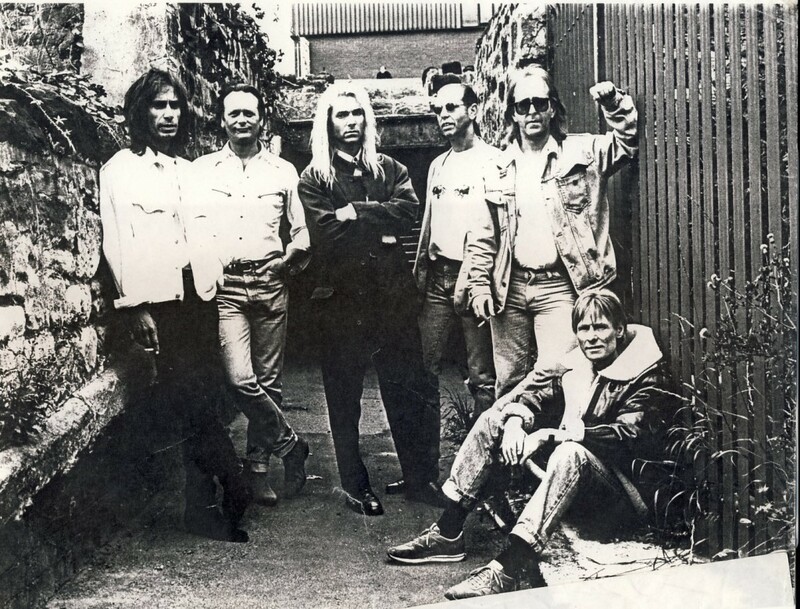 Bruce’s next band was the Fallout which consisted of Clive and Eric from Banshees plus Mick Grabham on guitar and Nigel Olsson (from the Fireflies) on drums. There were number of changes in the band in 1965 when Jimmy Hall (organ) and Brian Hughes (bass) – both from the Blackouts joined. Mick Grabham quit the band to pursue a career in London leaving them without a guitarist. The name was changed to the Jazzboard and later that year in September I joined as saxophonist. The Jazzboard is well documented elsewhere on the site. Here are a few pictures of Bruce with the band. It was during this period that Bruce learned to play the alto saxophone. 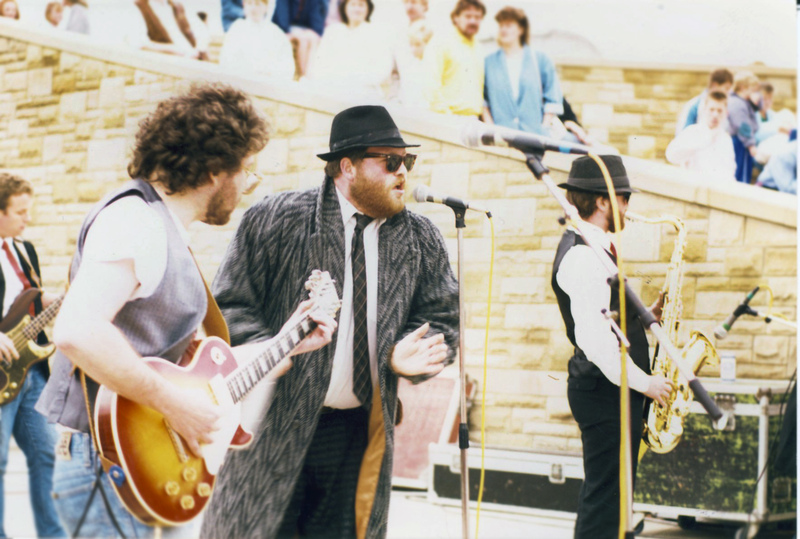 At one stage the band opened with a few sax based instrumentals featuring tenor and alto – Bootleg by Booker T and Can’t Sit Down by Phil Upchurch. 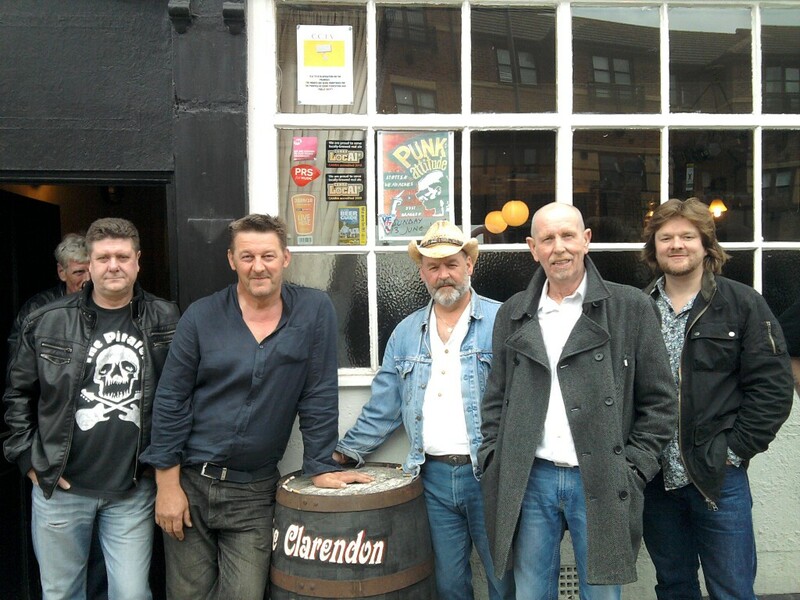 The line-up for This Years Girl was Bruce – vocals and harp, Jackie Ingram – sax and vocals, Bob Anderson – guitar, Ian Murray -bass and Sid Simkins – drums. In January 1968 Nigel Olsson, the drummer with the Jazzboard and later James South, joined Plastic Penny who had a hit record early that year with “Everything I Am”. 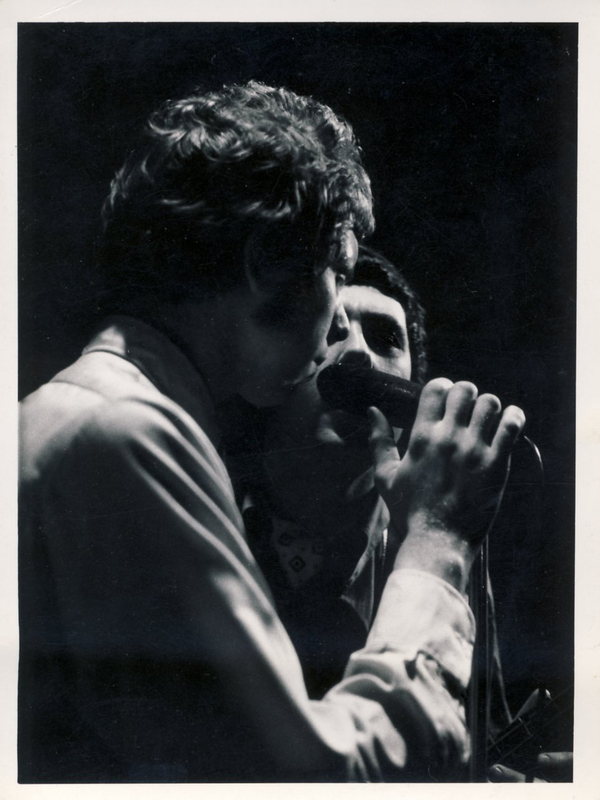 In 1968 Bruce joined Plastic Penny as road manager. 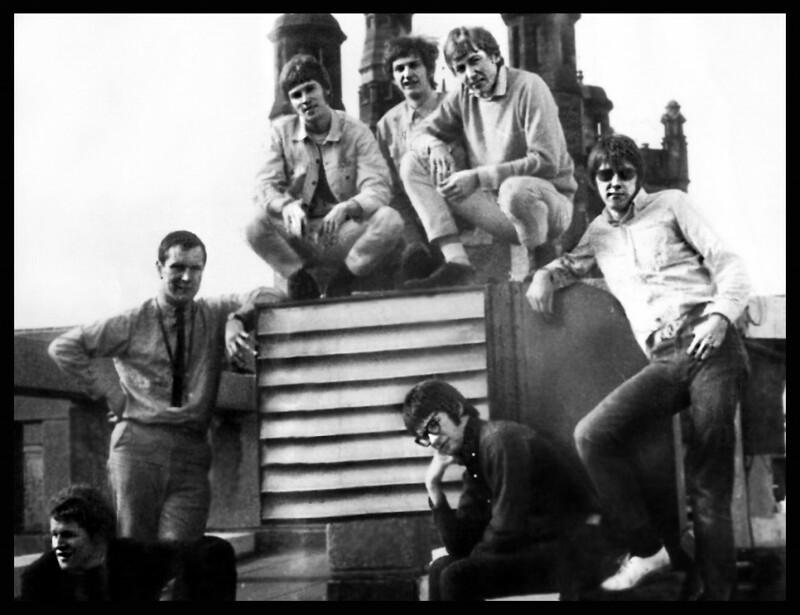 Bruce teamed up with three Durham University students to form the Wobblies in 1969. The line up was banjo, fiddle and guitar with Bruce on harmonica. 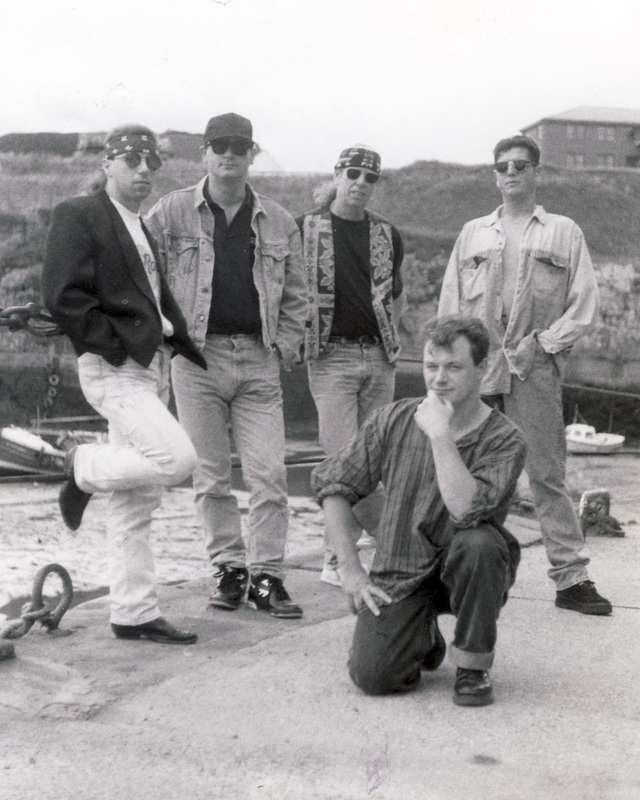 The second version of the Wobblies included Bruce on vocals, harmonica and 5 string banjo, Jimmy Hall on accordion, John Thompson on fiddle and George Fearon, guitar. The band also had a dancer called Peggy Thompson. The Divers featured Bruce on drums. 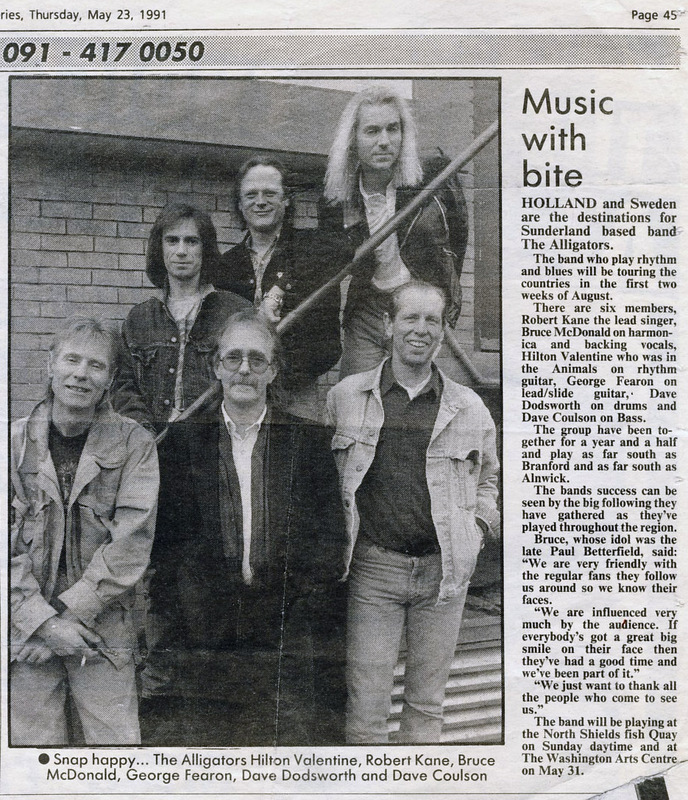 Others in the band were: Jeff Morland (aka Barking Billy Lee) – vocals, Jimmy Hall- keyboards, Tim Readman – guitar and Ian Murray – bass. 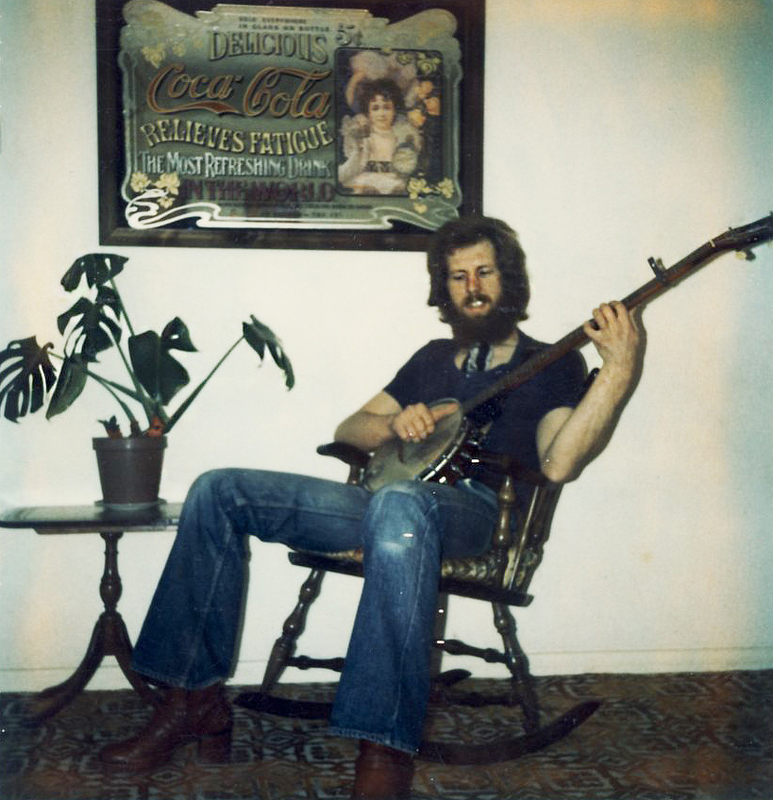 Tim Readman later went on to play with Arthur 2-Stroke & the Chart Commandos who had a couple of minor hits in the early eighties. Bruce switched from drums to harp for the Rhythm Dogs. 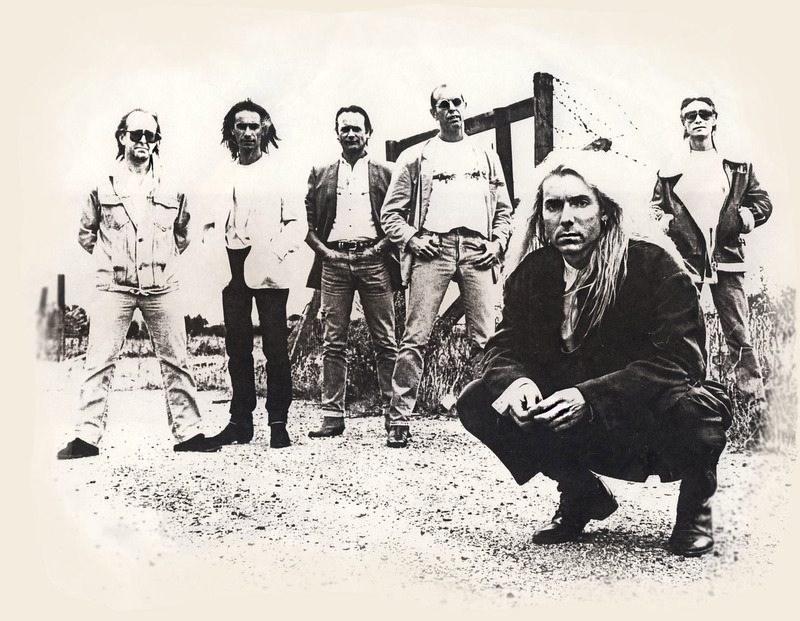 Other members of the band were Jeff Morland (Billy Lee) – vocals, Nick Philips – guitar, Andy Rippon – bass and Steve Ellis – drums. 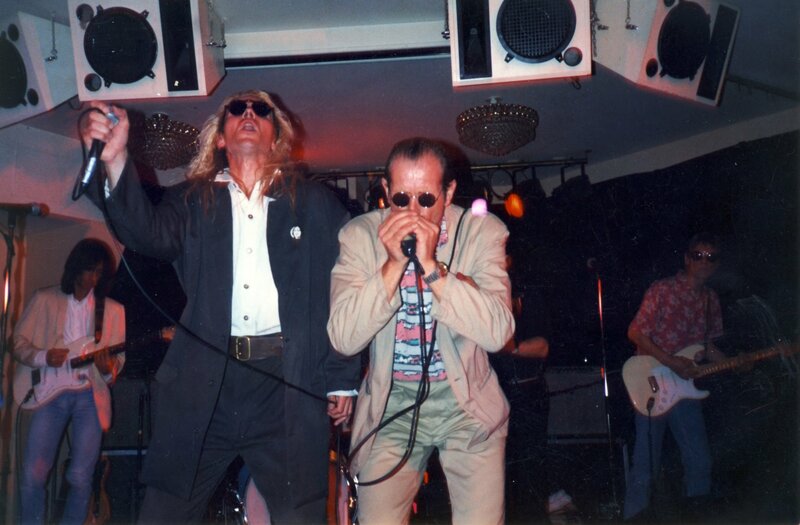 The line-up for Mean Mr Mustard was John Wake – vocals, John Hunter – guitar, Dave Gray – bass, Roger Perkins – drums with Bruce on harp and backing vocals. 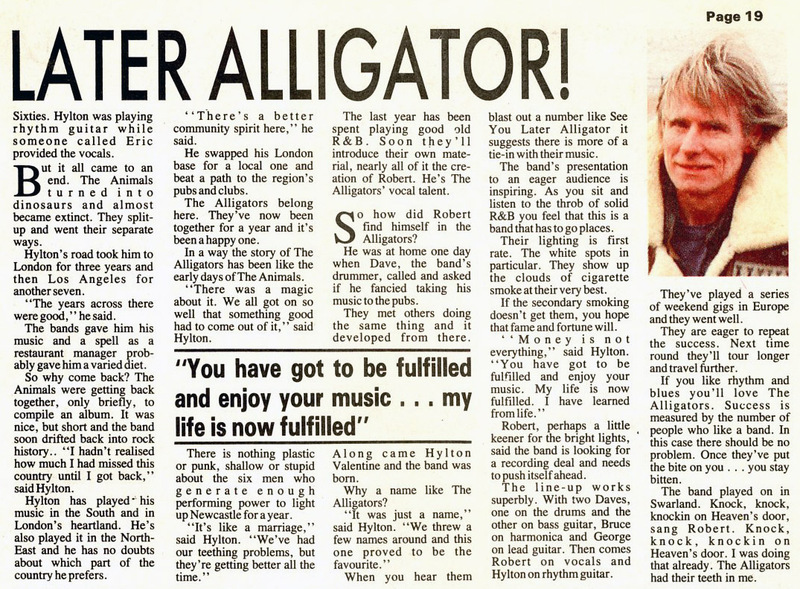 In 1989 Bruce, under the name of ‘Bruce McDonald’ commenced his first stint on harp with the Alligators. 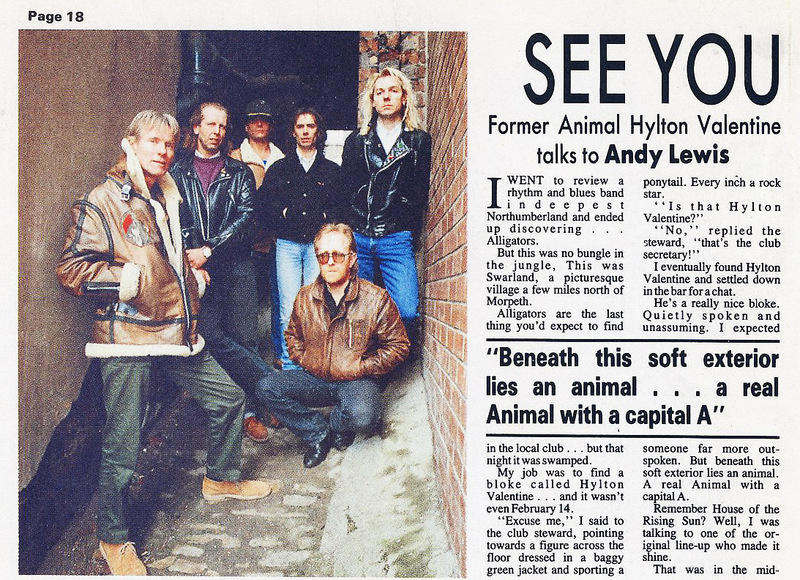 The band featured ex-Animal Hilton Valentine on rhythm guitar. 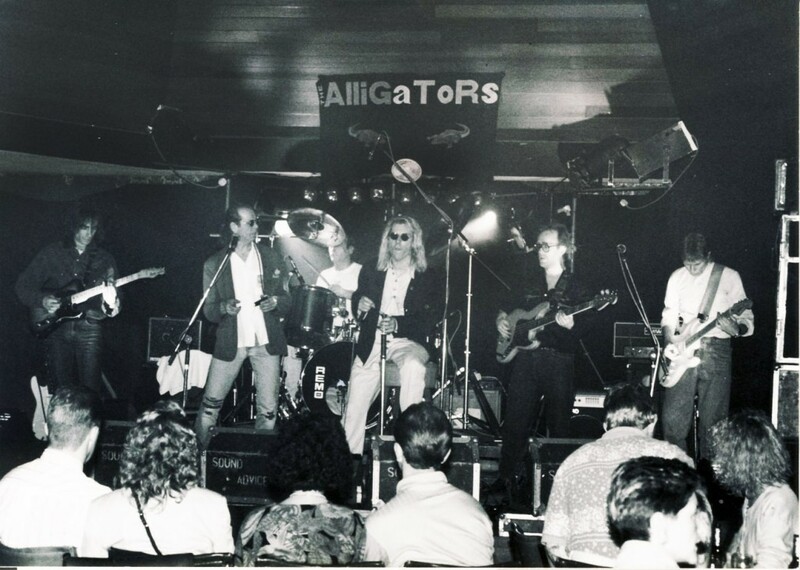 Other members of the original Alligators were Robert Kane – vocals, George Fearon – guitar, Dave Coulson – bass and Dave Dodsworth – drums. 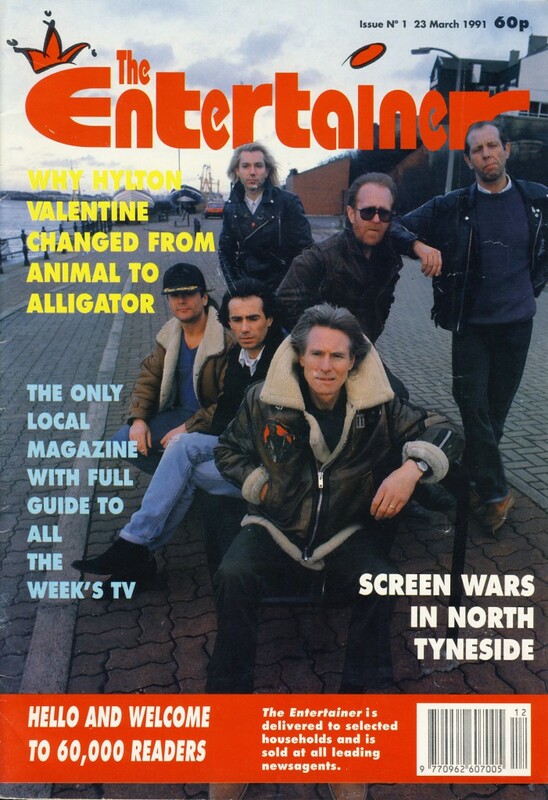 As well as local gigs, The Alligators performed nationwide and in Europe, including a Swedish tour. The band recorded five times which included a couple of sessions with Chas Chandler. 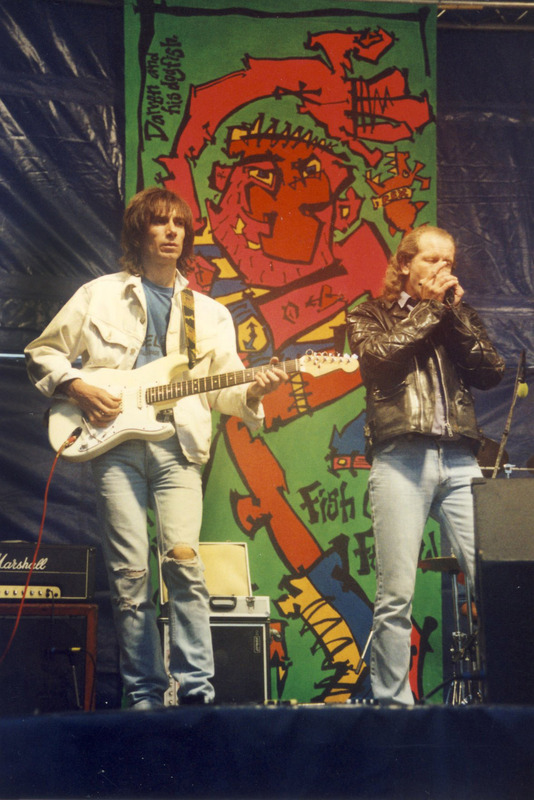 Dave Coulson left the band at the end of 1991 to be replaced by Jos Elliot. 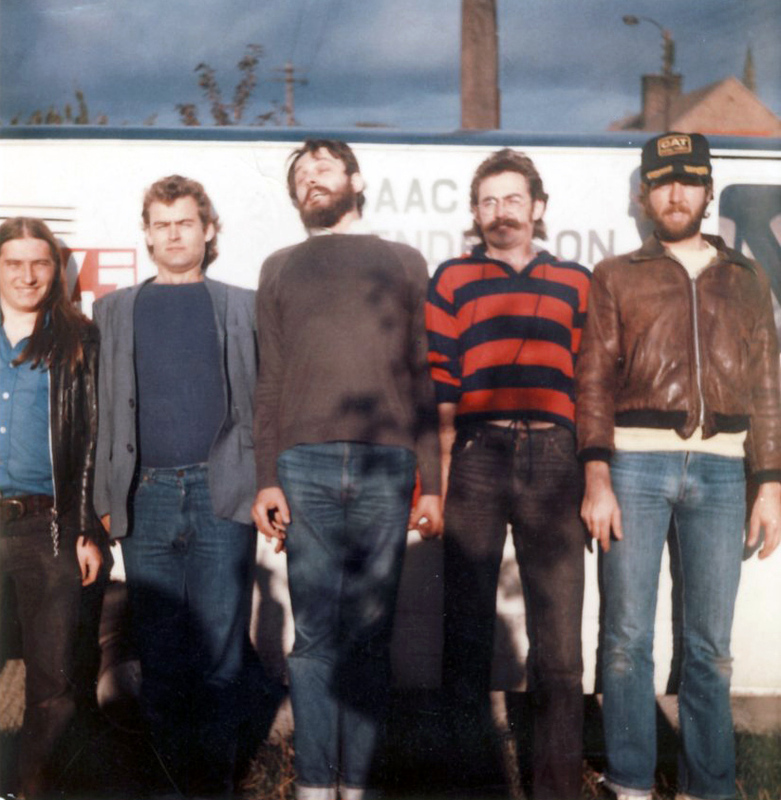 The Nighthawks were: Bruce (McDonald) – harp and vocals, Dave Curtis – vocals, Tim Lowes – guitar, Roger Perkins – bass and Trevor Hart – drums. 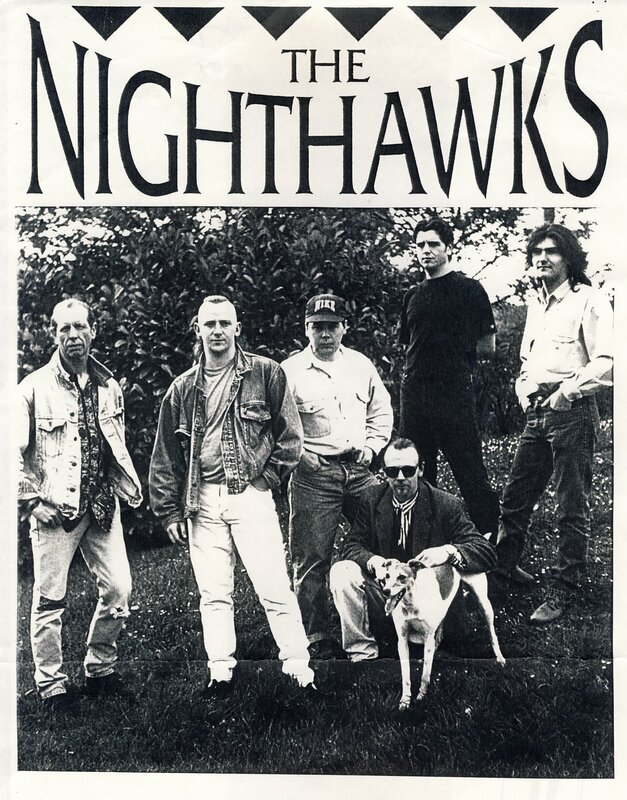 The second version of the Nighthawks included Bruce and Tim from the original line up plus Dale Moon – vocals, Don Morton – keyboards and slide guitar, Rob Whatnell – bass and Jeff Wright –drums and vocals. After thirteen years, Bruce continues to perform with the Scrapyard Dogs. For a full history of the band see their MySpace site. In addition to the Scrapyard Dogs, Bruce also performed regularly with Alligators until 2016.